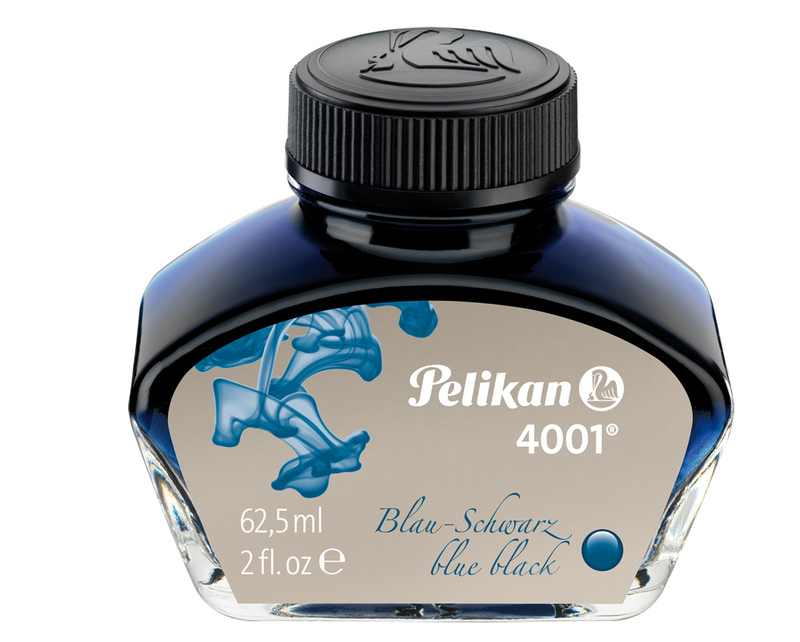 Few of Pelikan’s inks have sparked as much confusion and controversy as 4001 Blue-Black, particularly amongst those of us in the United States where this formulation is currently no longer available. You may be unaware that Pelikan actually has a line of “document proof” inks which covers a spectrum ranging from strong permanence to a more moderate light resistance. Scribtol is their most permanent offering but it is not suitable for fountain pens owing to the composition of the ink (i.e. soot) which can and will harm fountain pen feeds. This formulation should be reserved for dip pens only. Once you’ve moved past Scribtol, you arrive at Fount India. Offered as somewhat of a compromise, Fount India also contains soot though in a lower concentration than Scribtol. You get the same properties of permanence but in a formulation that is able to be used, all-be-it with caution, in a fountain pen. If you employ Fount India in your piston filling fountain pen, you need to take care that the ink never dries out which requires diligent pen maintenance. If the higher maintenance that is required with Fount India has you a little put off, then 4001 Blue-Black may be right up your alley.